An older couple from Africa was referred to me to enroll in the CHW program. Both have primary care physicians and have been going to see their doctors for a while. Their doctor recommended both to see a specialist for various reasons, but the couple is not fluent in English and did not know how to navigate the system to accomplish this. As their CHW, I met with them and made the appropriate phone calls with them to get them in to see a specialist using the phone interpreter services. They were very grateful, but they had other needs that were concerned about. They had no furniture, blankets, pots, pans, dishes and they were in need of some clothes. As their CHW, I was able to find a couple of programs that could assist with their needs. One of the programs is known to have a waiting list for at least 2-3 months for the furniture. I was persistent on making those phone calls until I received a response. Finally, the agency that provides furniture returned my call. They were able to schedule an appointment for the couple to pick up furniture and other items within 3 weeks. My patients are so happy for this because they no longer have to lay or sit on the floor and they will be able to cook the food they enjoy easily with dishes, pots and pans. This couple really appreciates the services that CHWs provide. Carissa Redmond is a Community Health Worker serving NBCCDC and the Historic Northeast Midtown Association communities. 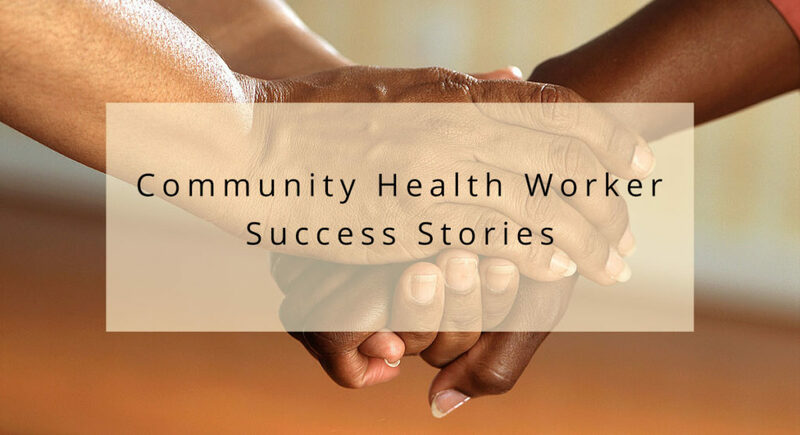 For more CHW success stories, click here.